Current Emporia High School counselor and assistant boys basketball coach Bill Nienstedt was recently honored by the Kansas Basketball Coaches Association for his basketball coaching skills. 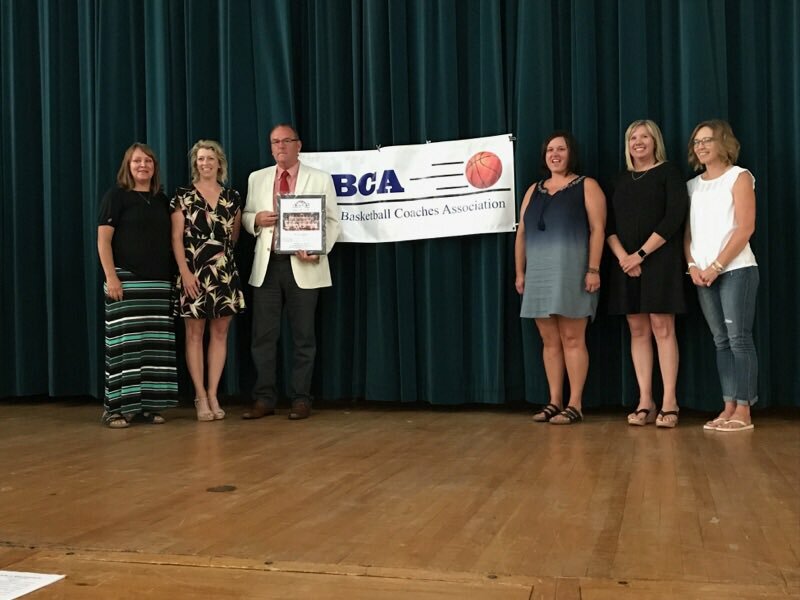 Nienstedt and the 1994 Lebo Lady Wolves were part of the 2017 KBCA Hall of Fame induction class. The Lebo Lady Wolves were the 1994 Class 2A girls champions, finishing with a 26-0 record. It was the team’s first title and Lebo’s first team in school history to finish with an undefeated record. Seven years later, Nienstedt piloted Lebo to a 27-0 record and the Class 1A title. 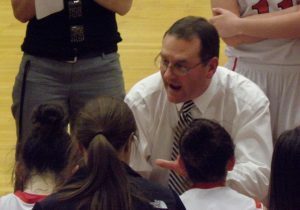 Following his time in Lebo, Nienstedt coached at Emporia High from 2002-2013, taking the Lady Spartans to the state tournament five times including back-to-back trips in 2003 and 2004 in Class 6A, a fourth-place finish as a Class 5A school in 2009 and another trip to the 5A tournament in 2011. In all, Nienstedt won over 400 games and took 10 different teams to the 1A, 2A, 5A, and 6A state tournaments during a 25-year head coaching career that included stops at Gridley, Central Heights, Lebo and Emporia. He also coached boys basketball, football, cross country, track and volleyball.